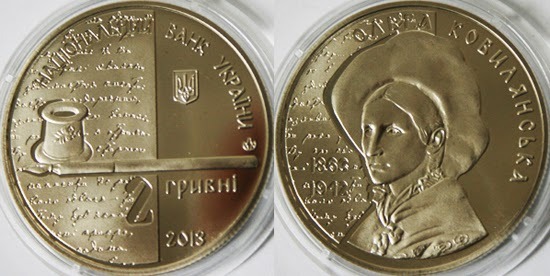 Olha Yulianivna Kobylianska (1863-1942) was a Ukrainian modernist writer and feminist. Her writings were influenced by George Sand and Friedrich Nietzsche. 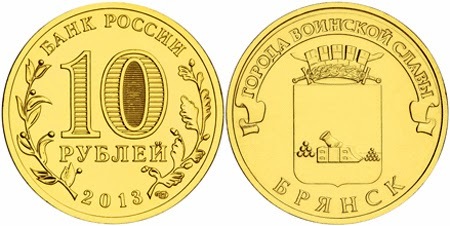 She was interested in the Ukrainian peasantry, and often wrote about the lives of these people. She depicted the struggle between good and evil and the mystical force of nature, predestination, magic, and the irrational in many of her stories of peasant life. Her works are known for their impressionistic, lyrical descriptions of nature and subtle psychological portrayals. 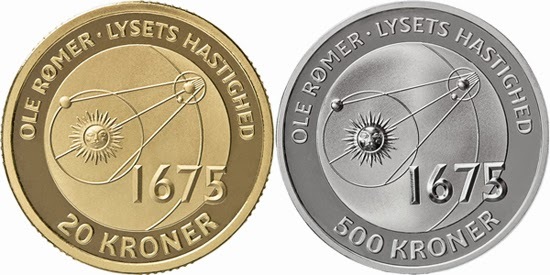 These two 5 gulden coins have been released in base metal. 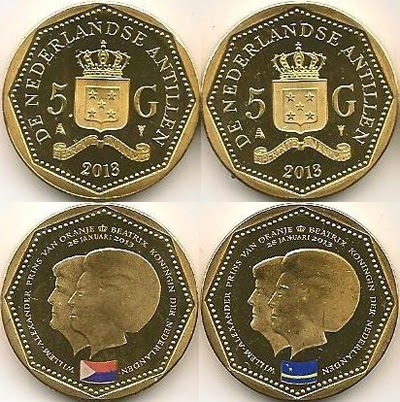 They are exactly the same, but bear the small coloured flags of Curaçao and Sint Maarten. 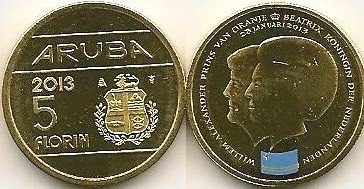 This 2013 year is supposed to be the last for Netherlands Antilles coinage, which will be replaced by the Caribbean guilder, the proposed currency of the Caribbean countries of Curaçao and Sint Maarten. 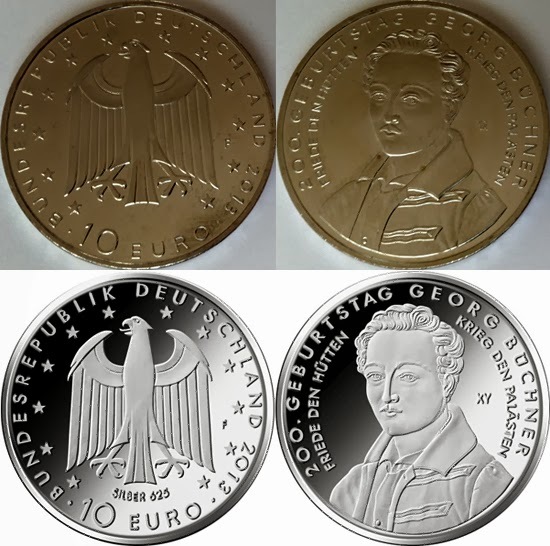 "200 years of the Birth of Georg Büchner"
Karl Georg Büchner (1813-1837) was a German dramatist and writer of poetry and prose. It is widely believed that, if it were not for his early death, he might have joined such central German literary figures as Johann Wolfgang von Goethe and Friedrich Schiller. 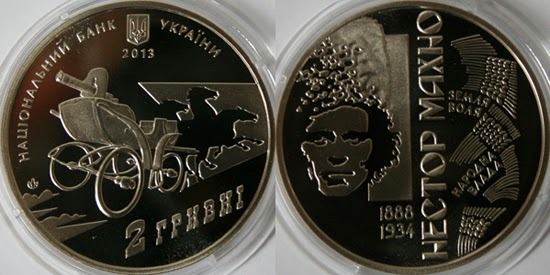 "Cities of military glory: Bryansk"
Nestor Ivanovych Makhno (1888-1934) was a Ukrainian anarcho-communist revolutionary and the commander of an independent anarchist army in Ukraine during the Russian Civil War. 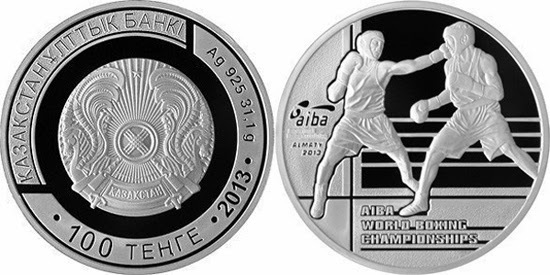 He is also credited as the inventor of the tachanka, a horse-drawn platform mounting a heavy machine gun. 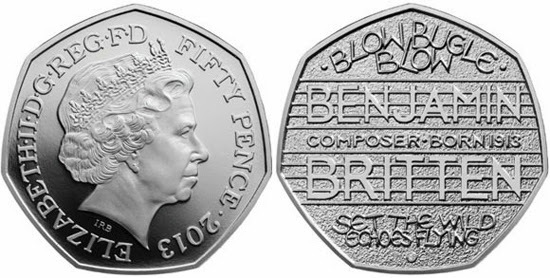 "Brazil FIFA World Cup in 2014"
"Centenary of the birth of Benjamin Britten"
Edward Benjamin Britten (1913-1976) was an English composer, conductor and pianist. Born in Suffolk, he showed talent from an early age. He was a central figure of 20th century British classical music, with a range of works including opera, other vocal music, orchestral and chamber pieces. 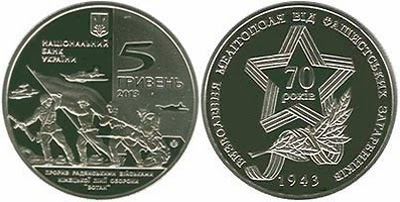 "28th World Youth Day - Rio de Janeiro"
"70th anniversary of the Liberation of Melitopol from the Nazi Invaders"
This special coin features Sillanpää wearing his characteristic skullcap. 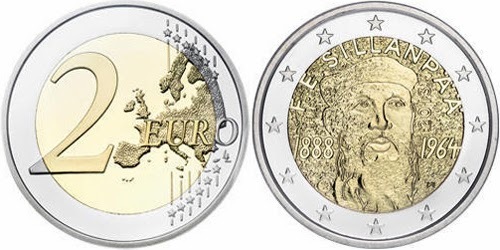 It is the same image used on Mint of Finland's silver commemorative coin launched in tribute to Sillanpää in January. "Cities of military glory: Volokolamsk"
"Russian Regions: Republic of Dagestan"
The Nagorno-Karabakh Republic is a republic in the South Caucasus recognised only by three other non-UN states (Abkhazia, South Ossetia and Transnistria). Recognised as part of Azerbaijan, Nagorno-Karabakh controls most of the territory of the former Nagorno-Karabakh Autonomous Oblast and some of the surrounding area, giving it a border with Armenia to the west and Iran to the south. The predominantly Armenian-populated region of Nagorno-Karabakh was disputed by Armenia and Azerbaijan when both countries became independent in 1918. 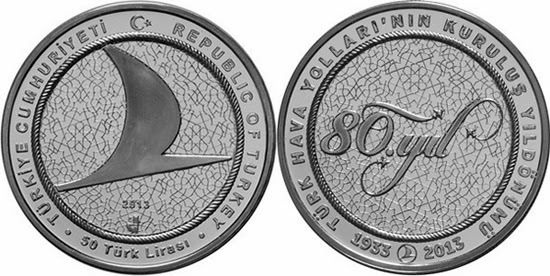 After the Soviet Union established control over the area, it created the Nagorno-Karabakh Autonomous Oblast within the Azerbaijan SSR in 1923. In the final years of the Soviet Union, the region re-emerged as a source of dispute between Armenia and Azerbaijan. 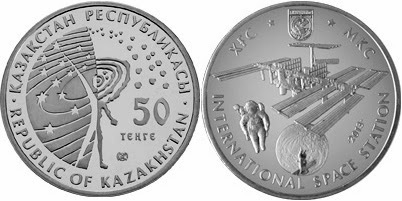 In 1991, a referendum held in the NKAO and the neighbouring Shahumian region resulted in a declaration of independence. Large-scale ethnic conflict led to the 1991-1994 Nagorno-Karabakh War, which ended with a ceasefire that left the current borders. 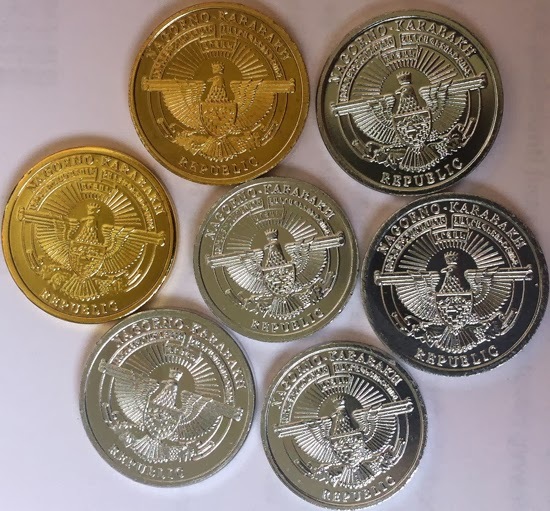 The Nagorno-Karabakh dram is a monetary unit of the Nagorno-Karabakh Republic. 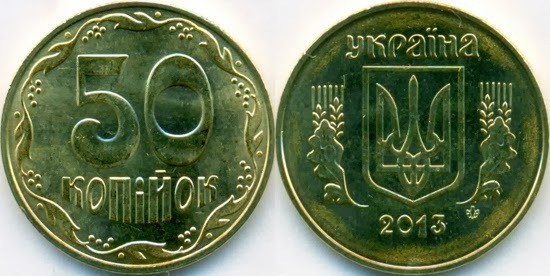 Although it is legal tender, it is not as widely used as the Armenian dram. 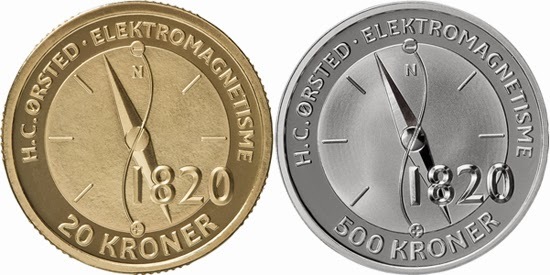 The set of coins from 2004 is included in Krause catalogue, with codes from KM#6 to KM#12. 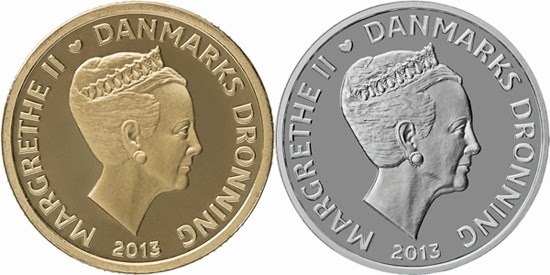 Also, some precious metal collectors coins are listed. 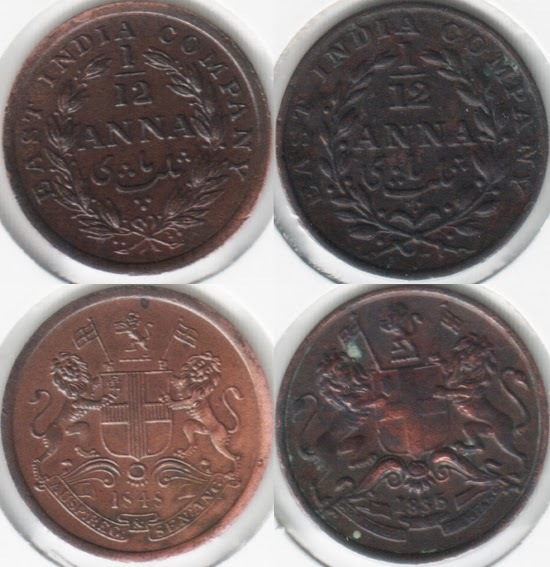 We still need some extra information: who minted this set? 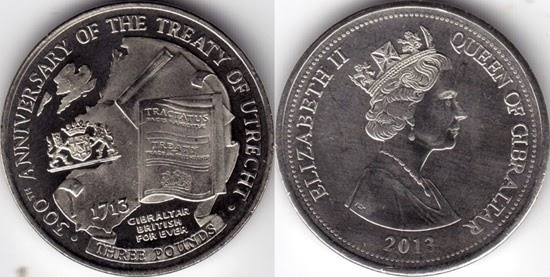 is it legal tender also? 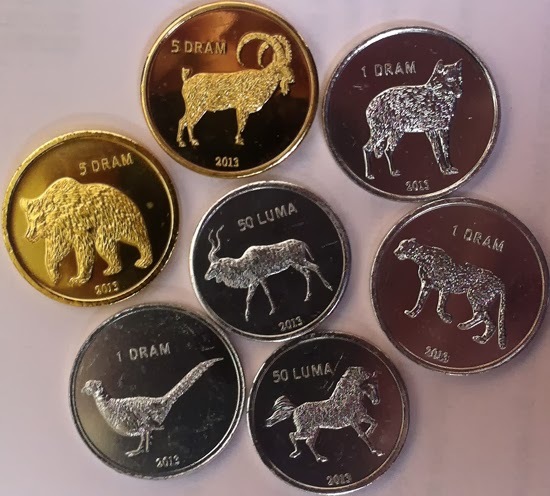 will these seven coins be included in Krause catalogue like new KM types? Every answer I have received by email makes me think that they are only fantasy pieces!!. 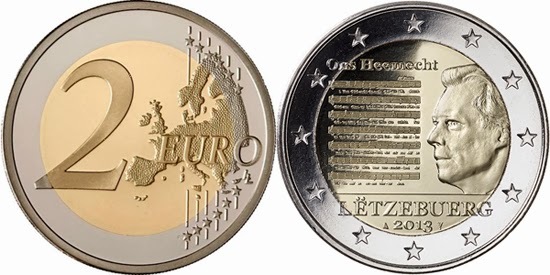 News from Gijs Vlothuizen: I asked the seller of the 2004 set about this 2013 set, and he said "These 2013 Nagorno Karabakh Coins are fake to the best of our knowledge. We checked with the issuing authority that assisted us and they have no knowledge and did not approve the design." Zlatio Georgiev Boiadjiev (1903-1976) was a Bulgarian painter, known for his portraits and landscapes, depicting mainly the Old Town of Plovdiv, Bulgaria's second largest city. Born in the village of Brezovo, Boiadjiev graduated in painting from the Academy of Fine Arts in Sofia in 1932. His work is generally divided into two main periods: until 1951, when he suffered a stroke and temporarily gave up painting, and from the time of his partial recovery a few years later until his death in 1976. After the stroke, he worked with his left hand and in a completely different manner. 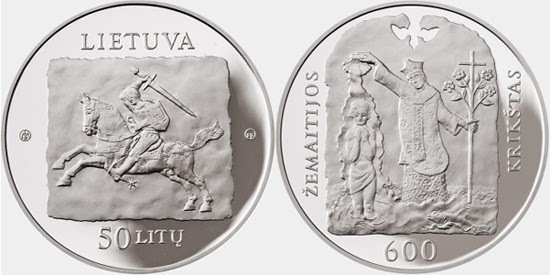 Samogitia is one of the five ethnic regions of Lithuania. It has a long and storied cultural history, including it's own distinct language. 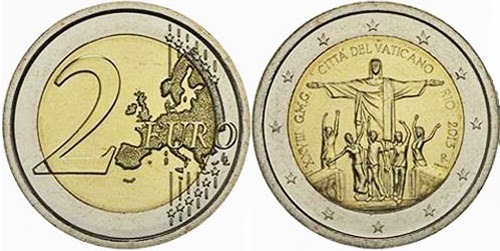 In 1413, the region became the last in Europe to be converted to Christianity, a significant event in the history of the European continent. 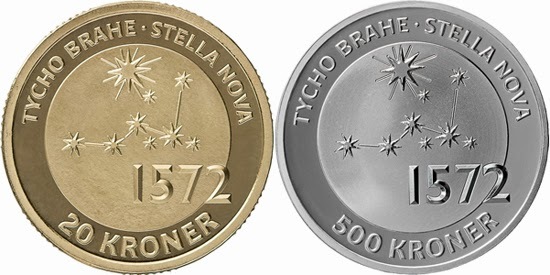 Sorry, I know this is no new type, but I need help and opinions! 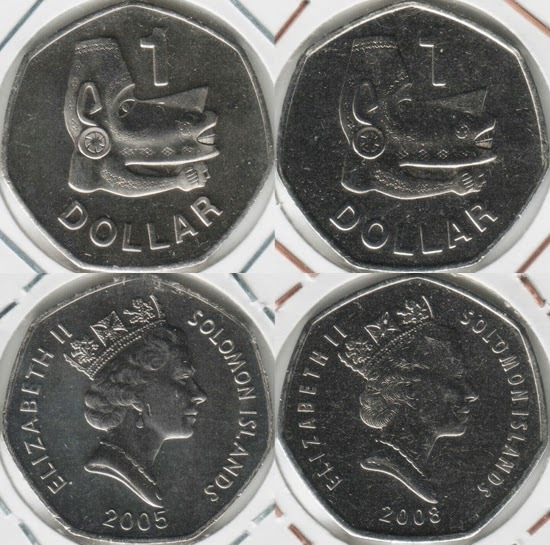 While I was sorting my Indian coins, I found these two pieces that Krause lists under same catalog number KM#445. How can that be possible? 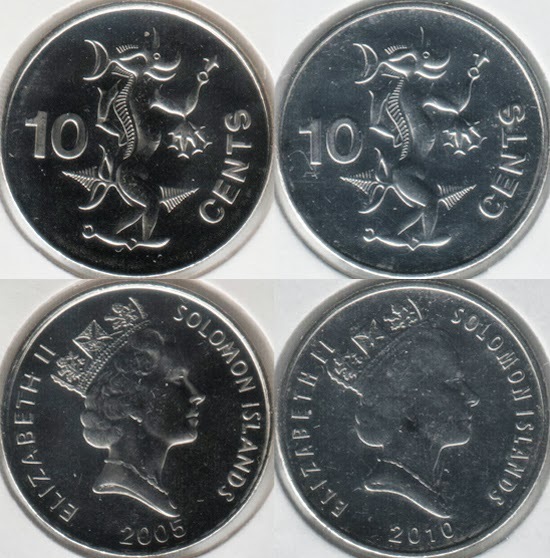 if you check carefully you will find tons of differences! Do you have info of any other specialized catalogs and the way they classify them? 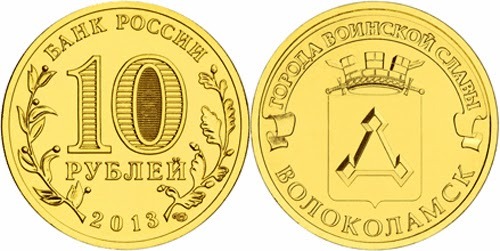 On 1 October 2013, new 50 kopiyka coins made of low-carbon steel with galvanized coverage of aluminium-bronze entered into circulation. 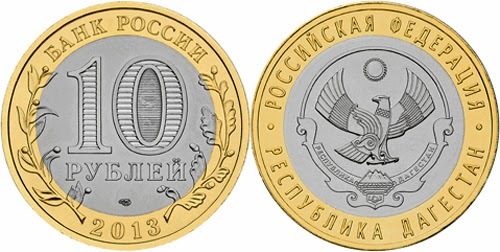 Until then, the coins were struck on the planchets made from an aluminum-bronze alloy. 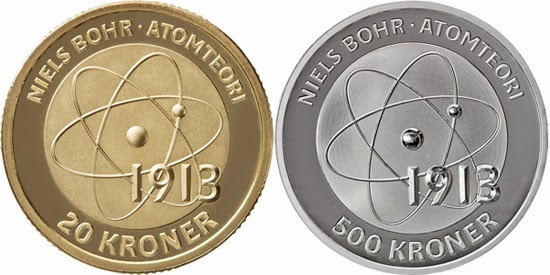 "500 years of the Discovery of the Great South Sea (later known as Pacific Ocean) by Vasco Núñez de Balboa"
To mark the centenary of the publication of Niels Bohr's atomic theory, Danmarks Nationalbank has issued a new series of coins with scientific theories developed by Danish scientists as their common theme. 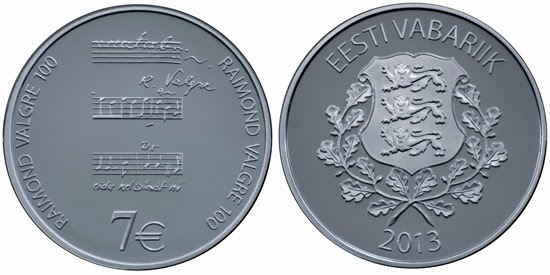 Raimond Valgre, born Raimond Tiisel (1913-1949) was an Estonian composer and musician, whose songs have become some of the most well known in Estonia. During World War II, he was a member of the orchestra of the 8th Estonian Rifle Corps of the Red Army and, as a result of his service on the Eastern Front he became an alcoholic after the war. 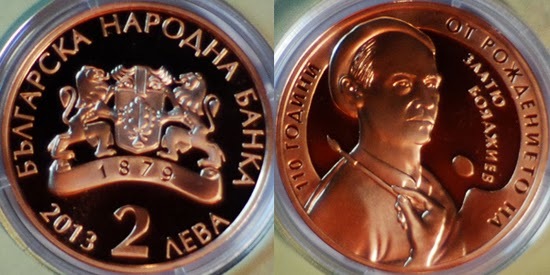 His music was banned in 1948 by the Soviet authorities. Raimond Valgre died in an accident on 31 December 1949. 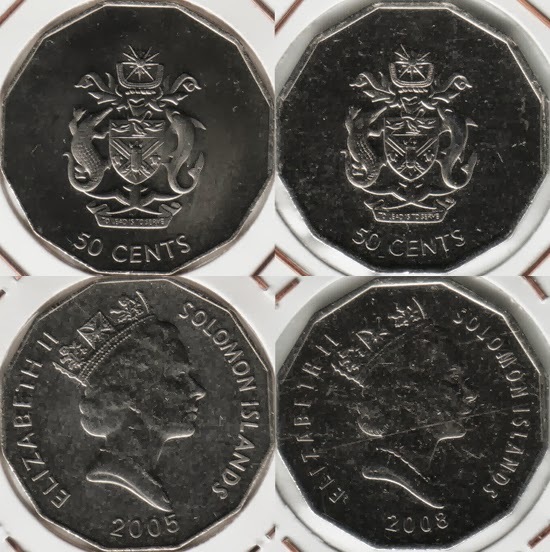 Let me show here some varieties I found in my collection for Solomon Islands coinage before the recent and new 2012 coin family. 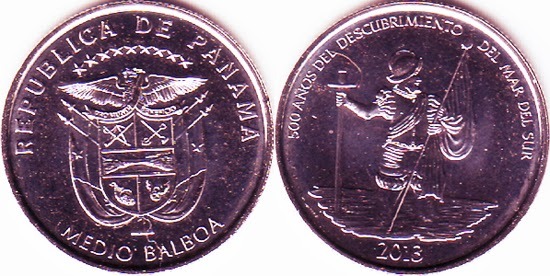 1 cent 2010 also has the narrow lettering of the other 2008 and 2010 denominations. 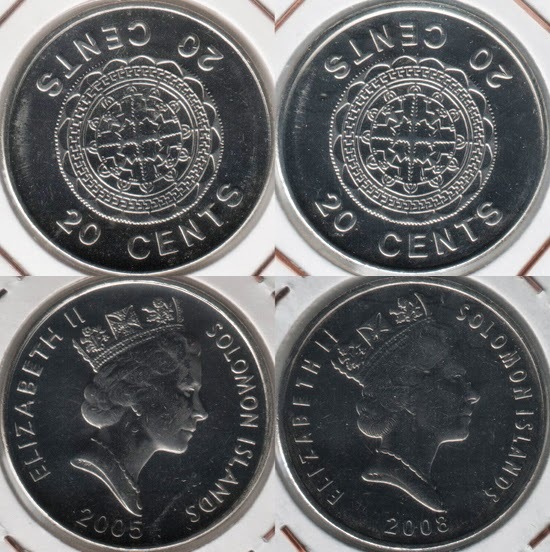 2 cents 2006 has two interesting mint marks (meaning?). 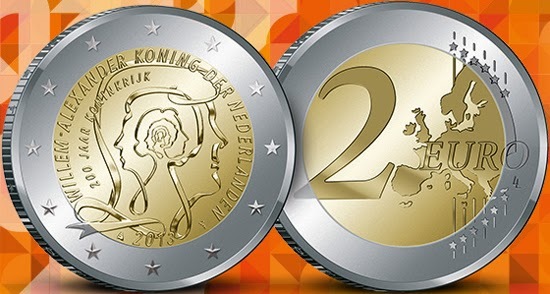 See them both in Antoine's PDF. 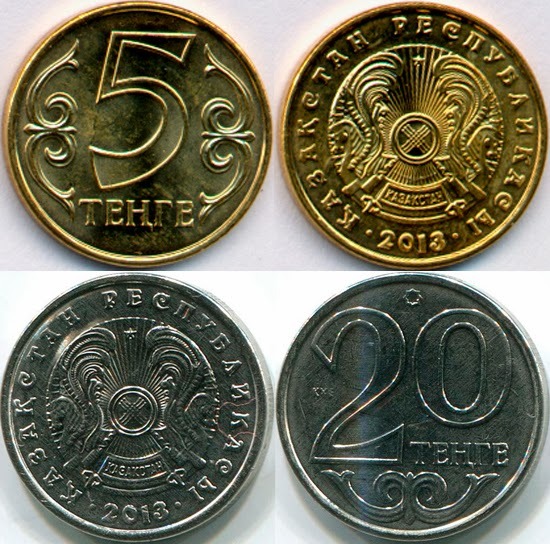 "70 years of the liberation of Donbass from the Nazis"
So, right now only the 2 and 50 tenges 2013 still need to be confirmed to be magnetic core (or not).